Over the past few years I've been enjoying self tanning to achieve an all round bronzed glow. I've tried many brands and formulas - instant and gradual. And with so many different types of tanning products - mousse, mist, gel and body blurs - it is so easy to achieve the perfect all year round tan without jetting off to the beach! 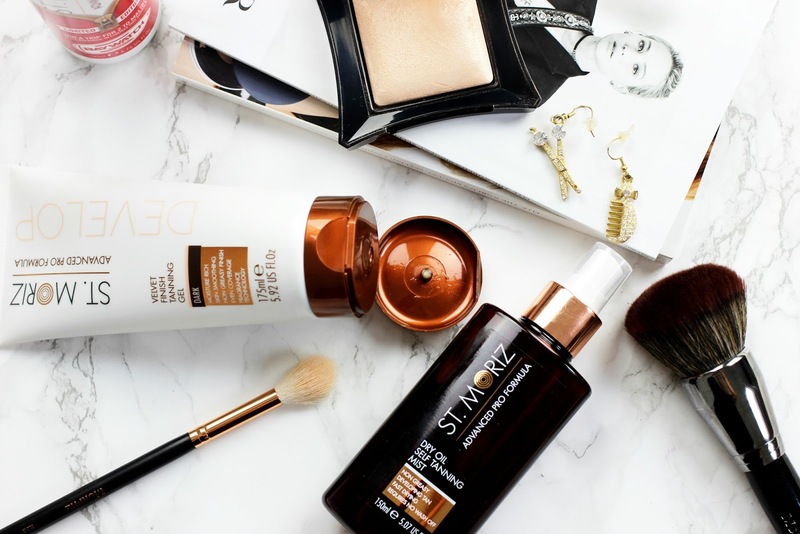 Lately I've been using ST. MORIZ's new Advanced PRO range. 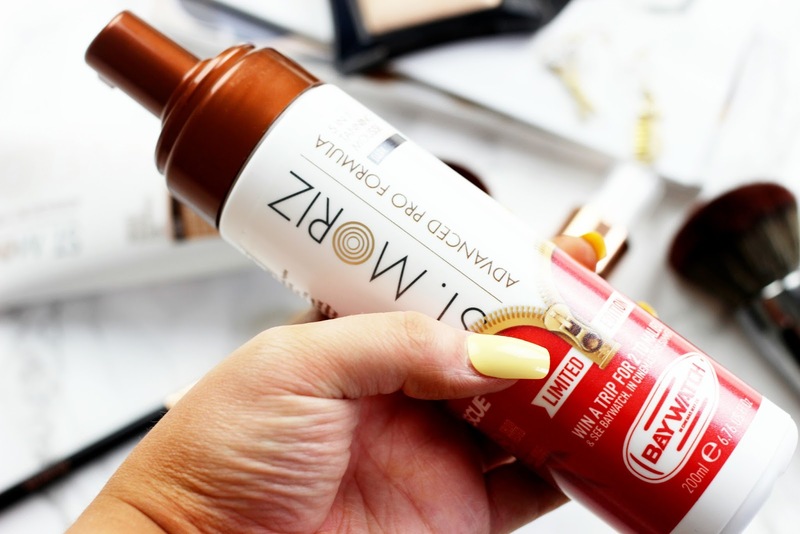 This collection has been expertly formulated to give you a salon quality finish and there are many different tanning products to choose from (check out the collection here). I've been particularly enjoying the Velvet Finish Tanning Gel topped off with the Dry Oil Self Tanning Mist. Now, these two products can be worn on their own, but lately I've been liking layering them together. I'll explain why in a minute but first let me tell you about the Velvet Finish Tanning Gel and why I'm really enjoying it. This has been created to give a professional, natural looking tan that glides on easily for even coverage. Now, I agree, it's very smooth to apply and when using a mitt it takes minutes to blend. I like to blend in circular motions to ensure the gel is evenly distributed. The tan takes 4 - 6 hours to fully develop and during this time my body does NOT feel sticky or greasy, which I really appreciate, because there is nothing worse than tacky skin. Okay, once the tan fully develops after 6 hours - I AM BRONZED! 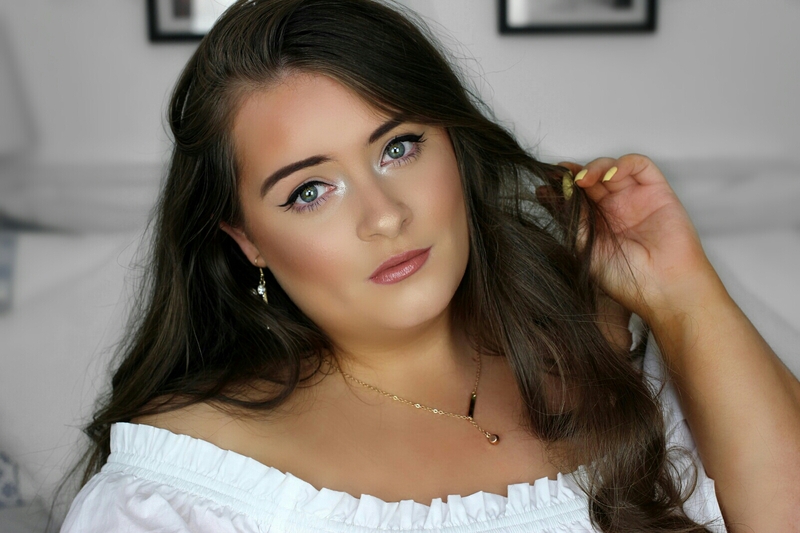 The shade I use is 'dark' (there is a 'medium' shade too) and it gives me a very deep bronzed look. The coverage it gives my body is beautiful, it's very even and streak-free. However, it doesn't take to my hands very well. So although the rest of my body is streak-free and flawless, my hands aren't. I notice around my knuckles and wrists (see photos above) there are slight dark patches. It's not too bad, nothing a little soap and water can't fix. But, I know with many tanning products this is the hardest place to apply tan. So for that I do not fault this product. Overall I'm very impressed with the Velvet Finish Tanning Gel. 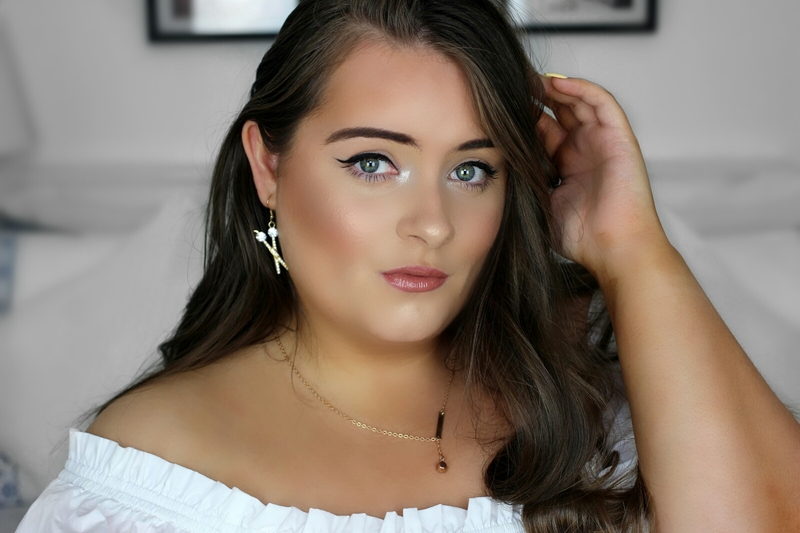 I love how bronzed I get and I love how soft it makes my skin feel - it's super moisturising! Now lets move on to the Dry Oil Self Tanning Mist and I'll explain why I like to layer it on top. 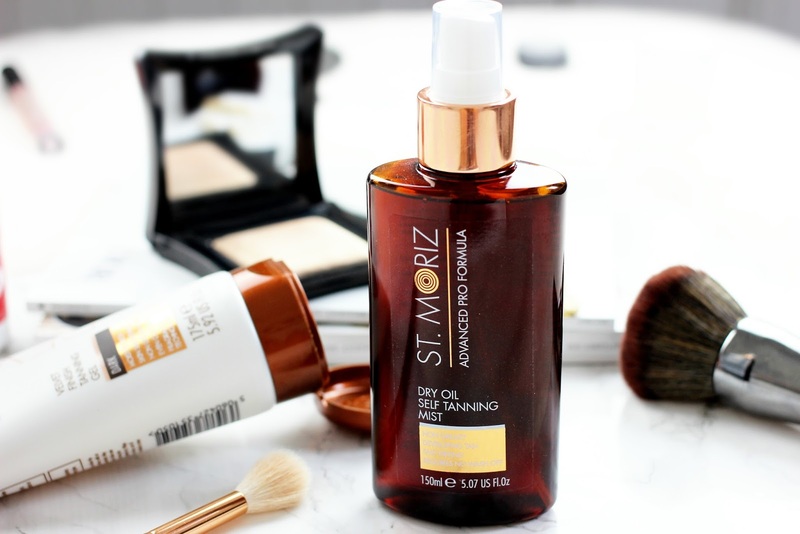 The Dry Oil Self Tanning Mist is a non greasy, fast drying, developing tan that can be applied by itself and is ideal for those who like a natural bronzed tan. However, I like to apply it on top of the Velvet Finish Tanning Gel. Now, before I go any further I want to quickly say that I do NOT apply the Dry Oil Mist at the same time as the Velvet Finish Tanning Gel. I wait a good 9 hours or so before I apply it to allow the gel to fully develop and settle on my skin. I will then go in with Dry Oil mist and spritz it all over my body and blend with a mitt. I love doing this because the Dry Oil Self Tanning Mist acts as a tan maintainer. 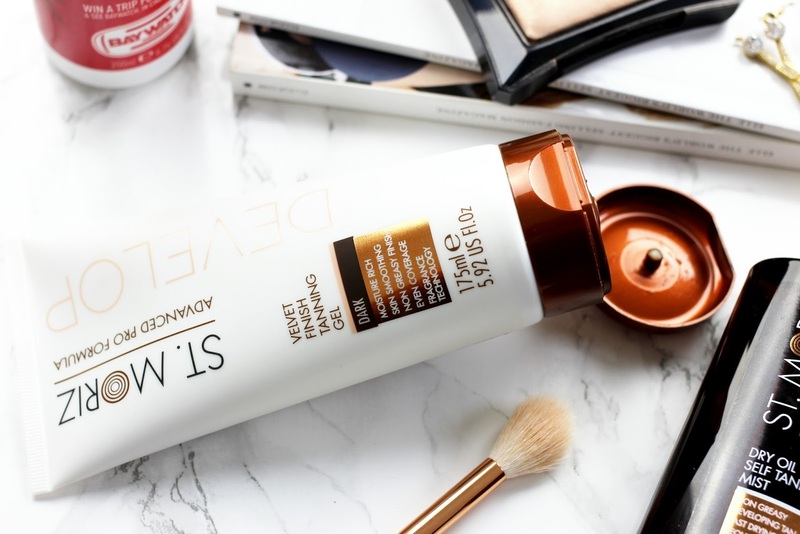 It adds more coverage and colour to my existing tan and also refreshes the scent. Layering this on top prolongs the life of my tan and I love how my skin glows. I am really enjoying the new ST. MORIZ Advance PRO range. I have another product from the collection to try (5 in 1 Tanning Mousse) and I'm looking forward to it. Going by the finishing result of the other products, I have high hopes!